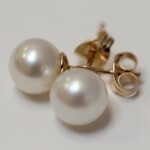 Our ‘Fit for a Queen Earrings’ are a bigger version of our Badminton pearl diamante studs. These earrings are often shown by confident ladies who are happy with bigger, bolder ‘statement’ jewellery who love the larger pearls and sparkly setting. 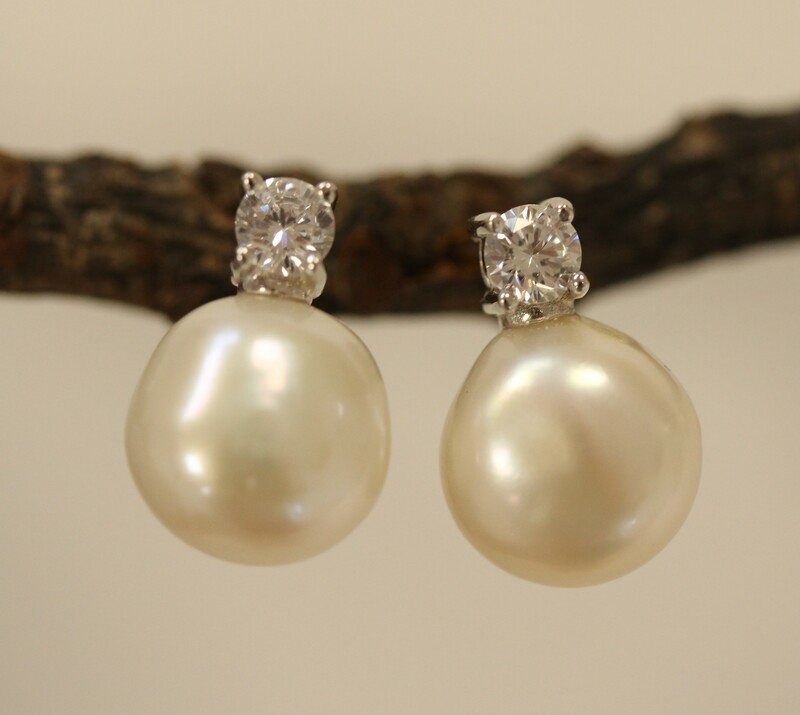 This stunning 12 – 14mm pearl is a smooth irregular cultured freshwater pearl with luscious rich cream hues, set with a 4 -5mm diamante top placed in sterling silver and secured with a butterfly back. 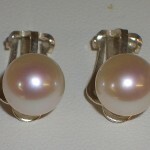 In total, the earring is 3/4” in size. 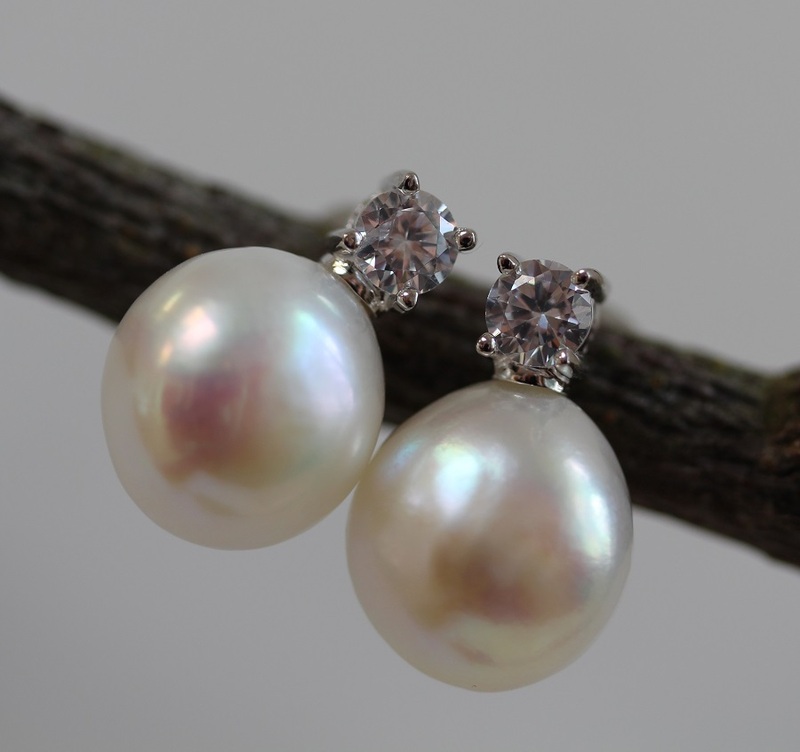 ‘Fit for a Queen earrings’ – Special Offer for the Royal Wedding season! We call them ‘fit for a queen’ because of their regal feel and look and you really can’t go wrong with these earrings for an event you want to sparkle at. 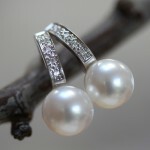 A very popular gift for birthdays and anniversaries, these earrings are loved by their owners. 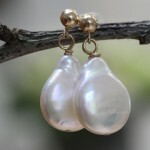 We select only the loveliest pearls to create these pearl earrings. 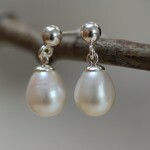 The pair are designed with large irregular baroque cultured freshwater pearls set with a diamante top set on sterling silver and secured with a butterfly back. Forest Enterprise Park, Wood Road, Ashill, Ilminster, Somerset TA19 9LP. © Harriet Whinney Pearls 2017. All rights reserved.